PALM DESERT, Calif. /California Newswire/ — The Bank of Southern California, N.A. announces that former Palm Desert National Bank CEO and Chairman, Kevin McGuire has been appointed to lead the bank's Coachella Valley region. 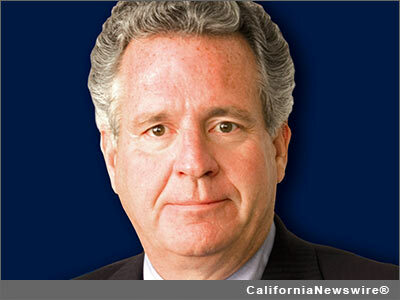 Mr. McGuire currently serves as Special Assistant to the Chancellor at UC Riverside, Palm Desert Campus. "It is truly a privilege to have the opportunity to return to banking with a dedicated team of community bankers committed to the Southern California region and specifically, the Coachella Valley," said McGuire. Mr. McGuire currently serves on the Board of Directors of six Coachella Valley based community organizations, including Shelter from the Storm, Food in Need of Distribution, the Coachella Valley Education Foundation, the Palm Springs International Film Festival, and the Humana Challenge Golf Tournament. He also previously served as a trustee of the Eisenhower Medical Center and was the founding Chairman and served on the Board of Directors of Pacific Coast Bankers Bank. With six offices in San Diego County and the Coachella Valley in Riverside County, Bank of Southern California remains one of the strongest, well-capitalized banks in the region, with a growing asset base and loan portfolio.